Allegro Software Development Corporation is a premier provider of secure IoT software components with an emphasis on industry-leading technology stack for connectivity, device management, and IoT device security. Since 1996, Allegro has been on the forefront of leading the evolution of device management solutions with its patented embedded web server and security toolkits. Over 250,000,000 machines have been shipped using the Allegro family of Internet Software Toolkits for Embedded Devices. Allegro created the first embedded system specific web server toolkits in 1996, giving device manufacturers cost-effective building blocks to implement web interfaces within their products. Today, Allegro’s RomPager is the most widely used embedded Web server toolkit in the marketplace. 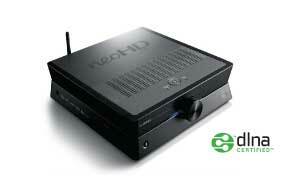 Allegro is also a leading provider of UPnP and DLNA technologies for networked consumer devices. In the emerging area of machine-to-machine (M2M) communications, Allegro offers a growing set of toolkits to provide cost-effective solutions to manufacturers. Our software is used in data communications products, enterprise products, consumer electronics products, home gateway products, medical equipment, industrial automation, automotive technology and more. A partial list of Allegro customers with shipping products can be found on our list of innovative vendors. Allegro software toolkits are precision engineered to meet the demands of embedded device developers working on cost-sensitive systems. It is simply not realistic to re-purpose PC applications or open source applications that were designed for systems with abundant resources and expect them to work well in an embedded device environment. The Allegro toolkits are highly portable, highly reliable and designed specifically for embedded devices. The Allegro toolkits are flexible enough to support the wide range of low profile networking stacks, run-time environments and low-cost microprocessors that manufacturers are choosing for implementing these devices. The Allegro toolkits offer rapid integration and provide a range of simple through sophisticated application value to the embedded world. For instance, the RomXML toolkit provides a small memory footprint XML parser and framer that enables embedded devices to translate internal data structures to and from XML streams. At the leading edge of embedded technology, Allegro’s RomPlug toolkits for UPnP and DLNA consumer electronic devices comply with current specifications and include tools to aid development and compliance checking during integration. Allegro Software Development Corporation was founded in February 1996 with the intention of bringing the advantages of standard Internet applications to the management of network devices. Recognizing the limitations of current network device management solutions and convinced that existing Web server products were inadequate, Allegro developed the RomPager Embedded Web Server Engine and Web Application Toolkit specifically for embedded environments. Features include a small memory footprint, compression for pages and images, support for the latest HTML and HTTP standards, flexible security models and file system support offering a generalized asynchronous I/O interface for flash, disk, RAM and network file access. RomPager, introduced by Allegro in the spring of 1996, enables embedded device vendors to provide network management that leverages the ubiquitous Web browser interface. Using a standard Web browser as the client allows them to quickly prototype sophisticated management applications and rapidly deliver consistent cross-platform solutions. By leveraging the browser as the application interface, the requirement for developing, distributing and maintaining custom device management client software is eliminated. Additionally, putting the interface in the device itself make sure that the management application matches the current capabilities of the device. 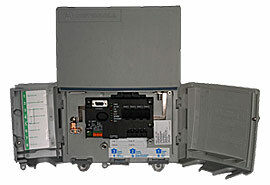 In December 1997, Allegro delivered several additions to its embedded Internet applications product line. These included version 2.0 of RomPager, RomMailer, and RomPager Remote Host. The new version of RomPager added support for HTTP 1.1, external authentication interfaces, and enhanced HTML page creation tools. RomMailer, an email agent for embedded device management, is a significant step in the use of Internet applications to manage network devices. With RomMailer, devices can send email status reports or event alerts to any Internet email reader. In April 1998, Allegro added RomPOP, an email agent that allows devices to receive Internet messages. With RomPOP, new software revisions can be downloaded to devices by email; and printers with RomPOP can accept print jobs by email. Email messages can be plain text or messages with attachments such as graphics, audio, configuration files, etc. In March 1999, Allegro announced version 3.0 of the product line which added a series of enhancements to the RomPager, RomMailer, and RomPOP products, and introduced two additional products. RomWebClient is a general purpose HTTP object retrieval client that provides embedded devices the ability to retrieve remote objects from Web servers using the HTTP protocol. RomDNS is a Domain Name Services client which provides embedded devices the ability to perform a variety of name-based and address-based queries to Domain Name Servers. In September 1999, Allegro announced RomXML, the first XML Framer/Parser designed for the embedded marketplace. With a small memory footprint of 10Kb, it is now practical to harness the power of XML with embedded devices. In September 2000, Allegro announced the RomUPNP family of toolkits, which are small memory footprint implementations of the UPnP™ 1.0 protocol. Allegro also announced the RomCLI toolkit for building text-based Cisco-style command line interfaces. In July 2001, Allegro released RomPager Secure, an add-on option for it’s RomPager Web servers to provide SSL/TLS access. In February 2002, Allegro added RomWebClient Secure, which adds SSL/TLS access to the HTTP client product. In January 2003, Allegro released RomCLI Secure, an add-on option to RomCLI to provide SSH access. In July 2003, Allegro renamed the RomUPNP product family to RomPlug and introduced the RomPlug Media kits which implement the UPnP AV specifications. In December 2003, Philips and Allegro announced a partnership to make the Allegro RomPlug UPnP technology available for the Philips Nexperia semiconductor family. In January 2004 Allegro demonstrated the Allegro Media Server, a software application to link personal computers that use the Apple iTunes software, with the world of networked UPnP digital media players. 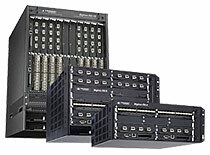 In May 2004, Allegro added RomPlug MediaControl to the family of UPnP digital media technology kits. In December 2004, Allegro released the Allegro Media Server version 1.00 which links personal computers that use the Apple iTunes software with the world of networked UPnP digital media players. In May 2006, Microsoft announced that Allegro has been selected to provide UPnP/DLNA and security technology for its Media Center Extender (PIKA) SDK and is being used in the XBOX-360. In April 2007, Allegro released version 4.6 of the RomPager family with significant functionality and interoperability updates to the RomPlug UPnP technology. Additionally, Allegro released the RomTime toolkit (client and server) for implementing SNTP. In September 2007, Allegro announced RomXOAP. Further extending the capabilities of RomXML, RomXOAP provides developers with an embedded software toolkit enabling design engineers to incorporate SOAP-based technology into their embedded designs. In June 2008, Allegro expanded the UPNP/DLNA offerings with link protection toolkits to support DTCP-IP and WMDRM-ND. In March 2009, Allegro’s RDMC 101 product was selected as a Reference Digital Media Controller (DMC) to launch the DLNA certification process for the 3-box model. In April 2010, Allegro announced that their RomPlug UPnP/DLNA technology was shipping in 50+ DLNA Certified products. In September 2010, Allegro announced a close partnership with Express Logic that bundles a free version of the popular RomPager web server technology with Express Logic’s high-performance NETx embedded TCP/IP stack. In January 2011, Allegro’s RDMS 202 and RDMS 202D are among the first to be DLNA Certified with additional support for DLNA Protected Streaming capabilities. In January 2012 at the RSA Conference in San Francisco, Allegro announced the release of RomCert, an embedded software solution to automate the management of security certificates in embedded systems. Additionally, Allegro announced full integration and support of Suite B cryptography with the RomPager family of products. In February 2013 at the RSA Conference in San Francisco, Allegro announced their FIPS 140-2 validation effort. In February 2014 again at the RSA Conference, Allegro announced the Advanced Edition (AE) product suite targeting next-generation embedded systems connectivity and advanced security with FIPS-validated security and IPv6 connectivity. In September 2014 Allegro announced support for VidiPath, the latest expansion of DLNA® interoperability guidelines for connected Consumer Electronics (CE) devices. In April 2015, Allegro expanded support for securely storing data on IoT devices with the release of pre-integrated support for encrypting data-at-rest leveraging the FIPS validated cryptography found in ACE. Allegro’s UPnP/DLNA technology plays an integral role in the functionality and overall performance of an award-winning consumer electronics wireless speaker system. Allegro Software achieves an additional FIPS 140-2 validation for ACE that takes into consideration the latest implementation guidance recommendations from NIST. 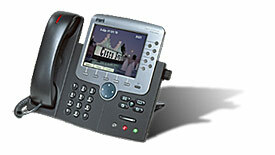 Many companies have discovered the advantages of connecting devices to the Internet. Allegro customers include many of the leading developers of computer systems and networking equipment such as 3Com, Agilent, American Power Conversion, Andover Controls, Brocade, Casio, Cisco, D-Link, Honeywell, HP, IBM, Microsoft, Motorola, Nortel, Siemens, Sony, Sumitomo, and Xerox. These customers and others have found that the Allegro family of products are well suited for embedding in devices like printers, digital media devices, routers, RAID disk arrays, UPS systems, automated building control systems, and remote access servers. Over 235,000,000 embedded devices have been shipped with the RomPager family of products. No single company can possibly fulfill the needs of every customer. Allegro’s partner ecosystem builds upon technical expertise and business relationships formed to explicitly benefit our customers. Allegro is very active in the following Industry Associations in addition to fostering world-class marketing relationships with the following companies. The goal of the Digital Living Network Alliance (DLNA) is to provide consumers with seamless interoperability between devices over the home network, regardless of vendor, resulting in an easy, out-of-the-box experience using any device. The Digital Living Network Alliance consists of more than 200 companies, who are working to promote Digital Media Device interoperability by using such standards as the UPnP AV Architecture. Allegro Software Development Corporation provides toolkits for DLNA Media Server and Media Player devices to help equipment vendors to meet the DLNA guidelines. The UPnP Forum is an industry initiative designed to enable simple and robust connectivity among stand-alone devices and PCs from many different vendors. As a group, we are leading the way to an interconnected lifestyle. The UPnP Forum consists of more than 700 vendors, including industry leaders in consumer electronics, computing, home automation, home security, appliances, printing, photography, computer networking, and mobile products. Allegro Software is providing toolkits with Internet Gateway (IGD), Media Renderer, Media Server and Media Controller support to assist manufacturers of this equipment to get their products to market quickly with the best-built software available. Headquartered in San Diego, CA, Express Logic provides ThreadX, a high performance, and quality embedded RTOS. ThreadX gives the embedded developer a streamlined, small, fast, and reliable RTOS with a royalty-free pricing model. ThreadX also provides many technical advancements, including its picokernel architecture, preemption-threshold(TM), and ultrafast software timers. The Microsoft Windows Embedded Partner Program (WEP) is a strategic worldwide program focused on providing partnering and co-marketing opportunities to companies delivering products, services or solutions based on Microsoft Windows Embedded platforms. The WEP Program provides numerous benefits to partners with the intent of enabling partners to bring their Windows Embedded solutions to market faster. Embedded Access focuses on providing embedded software platforms for Freescale ColdFire and Power Architecture processors. These platforms are developed for applications in industrial control, medical, consumer and networking products. Embedded Access platforms combine real-time operating systems, device drivers, IP networking protocols, file systems, graphic libraries, USB and industrial protocols into an integrated software environment that allows our customers to focus on developing their application and differentiating from competitors. Allegro has been working with manufacturers worldwide to build Internet software into a broad range of devices. By enabling customers to use standard Internet protocols to interact with their products, they are realizing increased customer satisfaction and increased product sales. Besides building human-to-machine connections over the Internet, device builders are also building machine-to-machine Internet communications using Allegro’s products. Here is a partial list of Allegro customers and their products. RomPager and RomPager Secure to offer an unprecedented level of management for enterprise and server switching applications. APC has shipped 1,000,000+ uninterruptible power supplies using RomPager to provide full web-based management. 3Com ships a number of RomPager based products that provide Web-based management including the HomeConnect ADSL Modem Dual Link, with a RomPager embedded Web server for HTML-based configuration and monitoring. Schneider Electric is shipping Web-based management of their Infinity automated building controls product family. The RomPager embedded Web server allows customers to use Web browsers to manage access points, inspect alarms, conduct system diagnostics, as well as other functions. They also utilize Allegro’s RomPager embedded Web server to provide Web-based monitoring of their Power Meter products to help improve power quality and reduce energy costs. Genband builds Media Switching Systems to provide VoIP telephony services with an integrated switched IP architecture, tailored exclusively to the needs of cable operators. Cedar Point uses RomCLI in their Safari family of switches to provide Cisco-style console management support. Konica Minolta has shipped the CrownView Web-based management application with over 500,000 networked printers. The RomPager-based application allows users to easily check job status and consumables levels and manage configurations. The Kronos Timekeeper Central system is an advanced time and attendance system designed to automate the capture, management, and distribution of critical employee labor data. The components of the system use the RomPager HTTP and TLS server and client products to securely distribute information using Web services (XML over HTTP). Nortel Networks ships the RomPager embedded HTTP server in the Accelar Gigabit Ethernet switch to provide a Web-based configuration manager that allows easy visual access to the switch from any Web browser. Xerox has shipped more than 1,000,000 DocuPrint low-cost laser printers, with the RomPager embedded Web server for installation and configuration. The printers can send notifications of job complete, paper out, or toner out using the RomMailer SMTP client and use the RomPOP mail reader client to retrieve print jobs that customers have submitted via email. 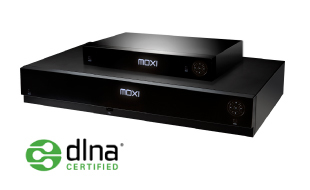 The MOXI® HD DVR from Digeo is DLNA Certified™ uses Allegro’s RomPlug UPnP technology. As a DMP, the MOXI HD DVR can easily discover, browse and play network content to your TV. Roku uses the RomPlug MediaRender and MediaControl Application Toolkits in their SoundBridge™ and SoundBridge Radio™ enabling you to play your PC or Mac digital music files anywhere in the house. Yamaha uses the RomPlug MediaPlay Application Toolkit in their neoHD DLNA Certified™ Digital Media Player (DMP). The neoHD (YMC-700) illustrates how DLNA technology enables discovery, integrated control, browsing and playing digital content on a home network using a simple and easy to operate GUI. Microsoft uses RomPlug with the Xbox 360 to create the ultimate Media Center Extender experience for sharing music, photos, videos and more. RomPlug enables DLNA connectivity in the latest Audi automobiles letting you and your passengers enjoy digital music, photos, and videos as part of the driving experience. Casio uses the RomMailer and RomPOP embedded email client software to provide consumer quality email services in the CALEID series of electronic mobile pocketbooks. D-Link Systems, Inc. uses RomPager to provide embedded Web-based management and RomPlug to provide UPnP™ Internet Gateway support for a wide range of their switch and SOHO router products. The RomPager embedded Web server is also included in LAN switch products provided to Intel under private label agreement. Motorola uses RomXML, RomWebClient, and RomWebClient Secure in their Fiber-to-the-Premises (FTTP) equipment to enable secure autonomous configuration allowing the world’s largest telecommunications operators to consolidate their access network into a simple, dynamically upgradeable solution. Cisco relies on RomPager, RomWebClient and RomXML in 15,000,000+ IP based phones and gateways. Agilent Corporation uses the RomWebClient embedded HTTP client and the RomXML embedded XML parser/framer in their Windows CE based Service Advisor communications tester to provide improved product updating capabilities using standard Web servers to deliver product updates. Nielsen Media Research is the world’s leading provider of television audience measurement and related services. Some of Nielsen’s measurement services use a set-top box that gathers rating information and returns it to a central Web server using the RomWebClient embedded Web client and the RomXML embedded XML parser-framer.